One of the most significant costs for many industries today is equipment maintenance. Air filtration costs make up a large portion of that. We’re here to help you keep those costs to a minimum. Vibra Air Filter Cleaning is an ISO 9001 Quality Accredited Air Filter Cleaning Company. In fact we’re Western Australia’s first and only Quality Accredited air cleaning company. At Vibra our focus is on helping you reduce costs, increase efficiency and maximise profits, without any compromise to the health of your people, assets or the environment. We achieve this through our unique, proven air filter cleaning and testing process that ensures optimum cleaning and the highest quality analysis. Our process is based on a proven technique whereby dirt is removed by a combination of vibration, spinning high pressure air and vacuum, resulting in filters being free of dust contamination. Our zero claim record is proud testament to the efficiency and expertise of both our process and our team. However, Vibra is defined by more than just its process and procedures. As a locally owned Western Australian company that’s been in business for close to three decades, we understand the importance of customer service. And the value of working closely with our customers to offer customised solutions that ensure savings, efficiency and results. At Vibra we don’t aim to meet customer expectations. We aim to exceed them. Our systems, processes and personnel are specially equipped to handle the specific needs of the WA mining industry. Our service offerings are tailored to mining, drilling (surface, open cut, underground operations) and the oil and gas sectors. We cater to all categories of the earthmoving industry including civil & construction / screen crusher works / quarries heavy haulage / surface miners / earthmoving / transport. We’re actively helping the agriculture and farming industries run efficient businesses while saving substantially on costs and time. The service we provide to local councils and the engineering industry include meeting the needs of power stations, compressors, council service fleet vehicles and all other heavy duty machinery used within these industries. We provide services to the following general industries: sand blasting, powder coating, metal, fabricators, cement plants, lime and marine. We also clean dust bags, collectors and cartridges. 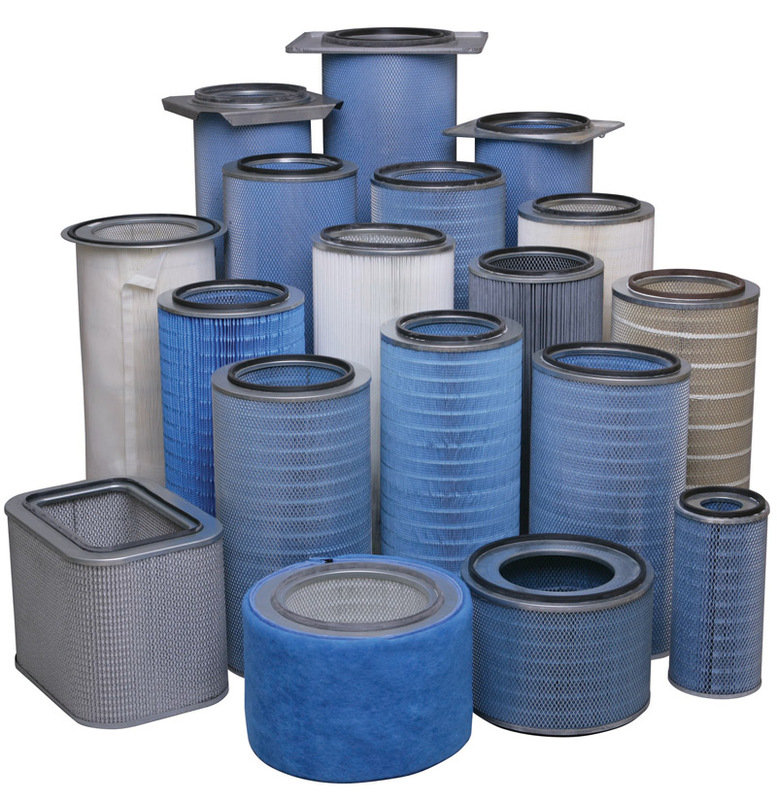 We service all the leading brands of air filters including Donaldson, Fleetguard, Caterpillar, Baldwin, Mann, John Deere, Torit and all high efficiency filters. At Vibra, we follow a unique & thorough cleaning and testing process that ensures your filters aren’t just cleaned, but tested to ensure maximum efficiency. Our process is based on a proven technique where dirt is removed only by vibration, compressed air and vacuum. No chemicals or hazardous material is ever used, ensuring no swelling or shrinkage to the filter media and making the process completely environmentally friendly. What kind of filters do you clean? We clean air filters of all different types and shapes, big and small. These include air filters from 4×4 vehicles to dump trucks, excavators, road-trains, loaders and more. How do you clean the filter? We offer both a dry cleaning process and a wet washing process. Depending on the type of environment your filters are used in and the style of operation, we will recommend the appropriate cleaning method. How long will it take to clean the filters? We guarantee our customers a 5-7 day turnaround time on all filters from date of receipt of the filters. How much does it cost to clean filters? Filter cleaning prices range from $13 – $20 for smaller air filters, and $20 – $35 for mid to larger air filters. How many times can I clean a filter? Depending on the environment & conditions you are working in, we would recommend a minimum of a 3 cleaning limit, up to 5 cleans. Some filters that have been working in very mild conditions have been cleaned up to 10 times. Quite often, maintenance & service departments will stipulate their own cleaning limits, based on their maintenance policies. All cleaned filters prior to being returned to our customers are tested ensuring a minimum of 80% airflow efficiency compared to that of a new filter and freedom from any defects and ruptures within the filter media. Any filter not meeting our testing requirements will be disposed of and you as the customer will be informed of the filter part number and the reason for the filter being disposed of. How do I get my filters to you? We offer complimentary use of our containers for filter transportation between remote sites and our factory. Additionally, we offer a pick up & delivery service in the Perth Metropolitan area and surrounds, out to Kalgoorlie and surrounding areas within the Goldfields. What warranties and quality of workmanship can you guarantee? Being an accredited air filter cleaning company, we have regular quality process control audits conducted at our factory to ensure all processes, procedures and workmanship comply with or exceed industry standards. Vibra is proud to have a zero claim record to our name since our inception in 1986. Vibra Air Filters are used throughout Western Australia in the mining community. Air Filters are used in machinery and building maintenance but old filters need to be cleaned to be effective. Vibra Air Filter Cleaning is an ISO 9001 Quality Accredited Air Filter Cleaning Company. In fact we’re Western Australia’s first and only Quality Accredited air filter cleaning company. At Vibra our focus is on helping you reduce costs, increase efficiency and maximise profits, without any compromise to the health of your people, assets or the environment. Based in Perth, we are WA’s only industrial air filter cleaning company to offer an accredited dry cleaning and wet washing process, we offer services to a wide variety of industries, including both open surface mining and underground operations. Our zero claim record is proud testament to the efficiency and expertise of both our process and our team. Vibra Air Filter Cleaning provides industrial air filter cleaning services to areas including: Newman, Tom Price, Geraldton, Karratha, wheatbelt, mid west, south west.